Hong Kong may just be one of my new favourite cities. After failing to secure a travel partner after I spontaneously booked my flight, I braved to visit Hong Kong alone for the first time. I had only ever visited Hong Kong previously on a 5-hour layover (which, upon reflection, really should've taken advantage of that time whipped it to the city) so this was basically fresh to me! Over much deliberation between staying on Hong Kong Island or the Kowloon side, I had finally caved and booked 3 nights at the Renaissance Hong Kong. Situated in the Wan Chai district and a short walk to the MTR (and also completely connected! ), it was a perfect home base for me. 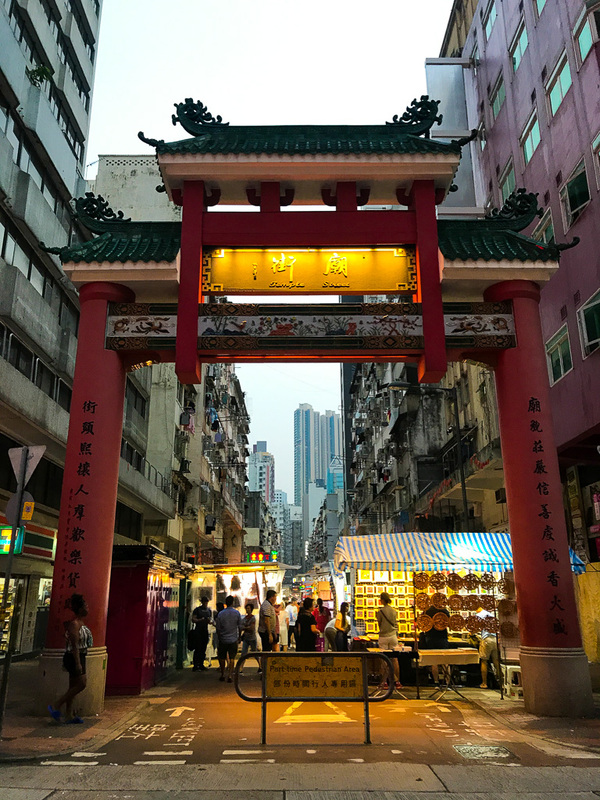 My research that I had conducted as well as opinions that I had gathered from my HK friends helped me conclude that HKI was much newer and comfortable vs. Kowloon which is old and full of character. Definitely happy with my positioning, the Renaissance HK was a great launchpad for the itinerary I had planned - would highly recommend it! Besides the great location and harbour views, the hotel's rooftop pool and chill lobby bar were additional bonuses. MTR - So easy, so swift! 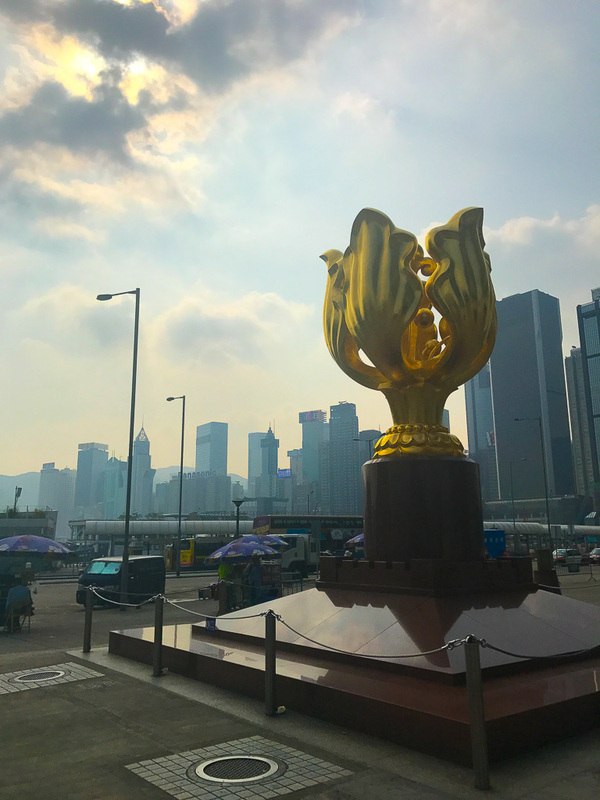 From Hong Kong International Airport, you can take the Airport Express to Hong Kong Island or Tsim Tsa Tsui in about 25 minutes (longer if you are in TST). It's easy, quick, and English-friendly. Honestly, can't go wrong here. Taxi - This would definitely be the quickest option to get around and can be proven useful if you're in a hurry! I personally never used this as I found the MTR to be more than sufficient. Uber - Another option that I didn't use but is available. I did read that taxis and Ubers are almost on-par nowadays since Uber just raised their prices in HK by 80%. Again...I'm sticking with the MTR option but totally up to you! Star Ferry - Ah, the legendary Star Ferry! This is a super economical way of getting from Hong Kong Island to Kowloon. It costs a mere $2.20 HKD ($3.10 HKD on weekends) to get across. Yes, you can use the MTR but hop aboard the ship and switch it up! It provides a beautiful view of the skyline and is a short ride! Victoria Peak - Take in the panoramic views of Hong Kong from the highest vantage point in the city. Take the Victoria Peak Tram up for $330 HKD or opt for a $10 HKD bus ride to arrive at the summit. There, indulge in the shops and restaurants at Galleria, take in a hike with one of the many trails, or simply take in the view. Lantau Island - It's a 1-hour commute but you must take in one of the surrounding islands in Hong Kong! I chose Lantau since I wanted to see the Tian Tian Big Buddha. 300 steps up to the temple + a small village closeby. Mong Kok - Take the Star Ferry over from Hong Kong Island over to Tsim Tsa Tsui and meander through the craziness of old Hong Kong. Mong Kok is wild and overly busy, filled with many markets (ie. Womens Market, Flower Market, Bird Market, Temple Street Nightmarket - all worth visiting or walking through). Lots of great and affordable souvenirs, food stalls and restaurants here. Secret Bars - So NYC! Or did HK come up with this first? If you're into cocktails like I am, you'll want to check out some of the amazing work of HK's finest mixologists. 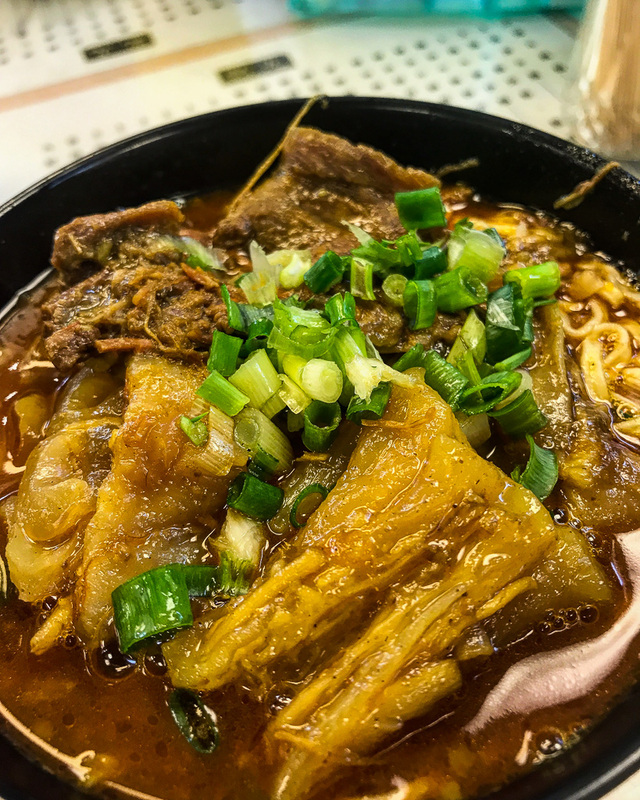 Walk Everywhere - Hollywood Street for antiques, Dr. Sun Yat Sen trail, harbourside by the sea... You can seriously burn a ton of calories walking around. And if you're consuming as much food and drink as I did, you'd want to be walking everywhere! Dim Sum - Obviously you've got to have dim sum when in Hong Kong! I visited Tim Ho Wan, a 1-Michelin Star dim sum joint with a few different branches. I opted for a lot of items that I couldn't find at home - the shrimp paste and pork-stuffed dong gua was a stand out as well as the pork and dried squid on rice. HK Meal Sets - I don't know what it is about HK cafes, but they just scream comfort food to me. One of my favourite places was the Australian Dairy Company for their scrambled eggs (heaven!!! ), macaroni + ham chicken soup, and milk tea combo. 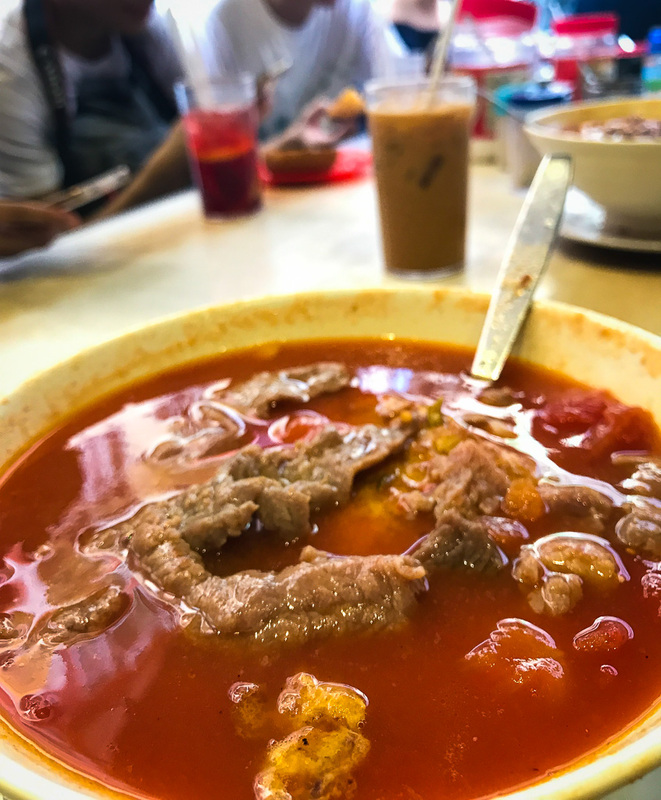 If you're looking for something a bit more old school, pop in line and try the tomato soup with scrambled egg, beef and macaroni tomato soup at Sing Heung Yuen. Wonton Noodles - So many options to choose from here. The shrimp and pork wontons at Mak's Noodles are a standout. Bouncy dumplings and chewy wheat noodles. There are a number of locations and there will always be arguments about who makes the best, but this one takes the cake for me! Char Siu - Ahhh, there is nothing better than Chinese BBQ roast pork! You can literally get this anywhere in HK. I tried the one at former 1-Michelin Star hole-in-the-wall, Joy Hing's for a bargain price. Make sure to ask the servers for some of the sweet soy to drizzle onto your rice! Roast Goose - You simply cannot pass this up. I don't think I had ever had this before until one of my coworker's recommended it to me. There may be a waitlist for Yung Kee but hop on over to the left and grab it to go! No wait, and you get your goose sooner. That oil with the rice...yum! Milk Pudding - Milk...pudding? Similar to that of a panna cotta but with more gelatin and topped with red bean or other various toppings... delicious! 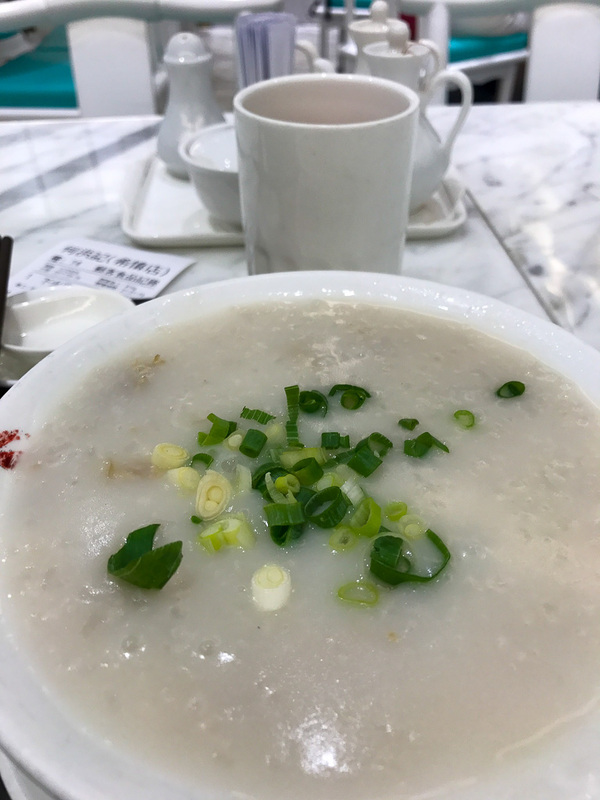 I go to Yee Shun Milk Company for their deliciously light bowls of milk pudding. Hong Kong is a destination that will overwhelm your senses. The sights, the sounds, the smell, the hustle and bustle of traffic, and the sheer volume of people, it's no wonder that Hong Kong is considered one of the best cities to live and visit in the world - I can certainly see why!